Taste any of the superb wines from the Southern Oregon AVA and you’ll understand why many writers are talking about this region as Oregon’s “next big thing.” Southern Oregon has been garnering attention for its wide range of outstanding wines: Cabernet Sauvignon, Syrah, Merlot, Tempranillo, Pinot noir, Viognier and more. With 170 microclimates and five AVAs defined by four rivers, Southern Oregon is a region of discovery and experimentation. Among the rolling hills and lush valleys of this rugged region, Southern Oregon winemakers are, quietly and without pretention, putting their focus squarely on quality. 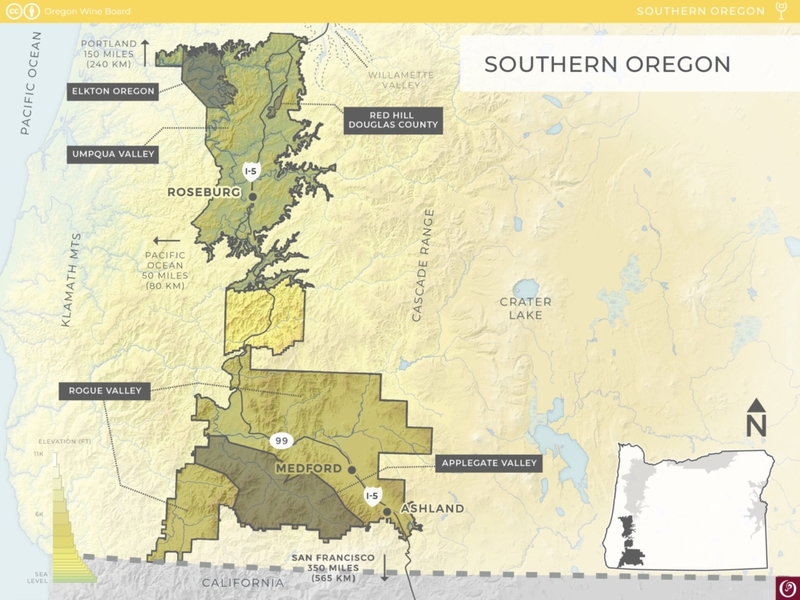 The Southern Oregon AVA lies in the southwest portion of the state, stretching 125 miles (200 km) south of Eugene to the California border, and 60 miles (95 km) at its widest between the Cascade Mountain Range to the east and the Coast Range to the west. It encompasses the Applegate Valley, Elkton Oregon, Red Hill Douglas County, Rogue Valley and Umpqua Valley appellations. The Klamath Mountains, Coast Range and Cascade Mountains all merge in the Southern Oregon AVA, creating a varied, mountainous topography with vineyards typically situated in high mountain valleys at elevations between 1,000 to 2,000 feet (305-610 m). The lofty southern coastal mountains provide a barrier to the west, blocking marine air and casting a rain shadow to the area’s south and east. Southern Oregon experiences one of the widest growing season diurnal temperature swings in the world, helping to preserves grapes’ acidity and complexity in an otherwise warm climate. Additionally, there are many cool micro-climates within its varied hillsides and valleys that enable Southern Oregon to successfully grow both cool- and warm-climate varieties. Southern Oregon’s soils are varied; however, the many rivers that meander through Southern Oregon, including the Umpqua, Applegate, Illinois and Rogue, all have contributed to the development of well-draining stream terraces and alluvial deposits. Wines produced from this region’s grapes are very diverse but offer good structure and balance. Southern Oregon has the oldest history of grapegrowing in the state. It dates back to 1852 with an early settler named Peter Britt, who operated a winery in Jacksonville called Valley View Winery. 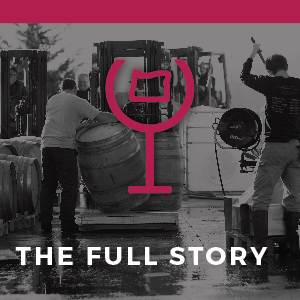 Post-Prohibition winemaking started in 1961 when vintner Richard Sommer migrated from UC Davis and founded HillCrest Vineyards in the Umpqua Valley, planting Oregon’s first Pinot noir vines. Impressed with the diversity of growing conditions in this area, other winemakers began planting roots in the 1970s, resulting in a patchwork of vineyards growing both cool- and warm-climate varieties. 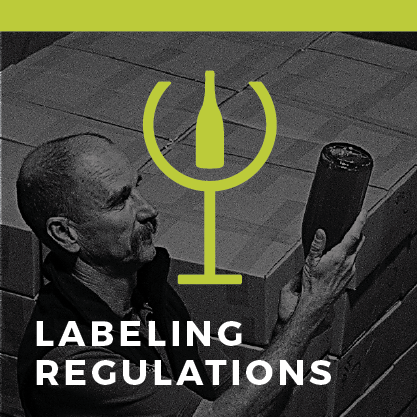 Today, this winegrowing region continues to grow and turn out a great variety of high-quality wines. The appellation became official in 2004.